Every time you require fast professional help, use our gate repair services to get the best possible result. We are available to assist you in an emergency situation as well as by appointment. Our company offers all solutions that you may require from hardware repair to opener fixing and panel restoration. Our services are designed for absolutely all types of gate systems from the most basic to the most sophisticated and from the oldest to the most innovative ones. Expect to enjoy a perfectly functioning and completely safe swing, sliding or overhead gate in the end. Report the problem to us as soon as you notice it. In case of an emergency, our technician will be with you as quickly as possible. Even if you used our scheduled service, you should not expect to wait for long. Our company has the capacity to service a large number of customers at the same time. Rest assured that the issue will be resolved on the spot even if it is serious, such as a faulty swing gate operator. We have everything necessary to fix even the most advanced opener belonging to any type of gate. All of our team members keep up to date with the latest technologies in our industry. The finest and most precise tools are used for fixing sensitive electronic components including the receiver and the circuit board. If necessary, the settings of the opener are readjusted and the moving hardware parts are lubricated for optimal operations. Rely on us, at "Gate Repair Brea", to provide a fully comprehensive solution any time. Let us resolve all sorts of issues with the hardware swiftly and effectively. If you have a shaking and noisy swing gate, expect to get the perfect hinge welding repair from us. The hinges will be fixed or replaced depending on their condition. The components will be welded securely to the post. 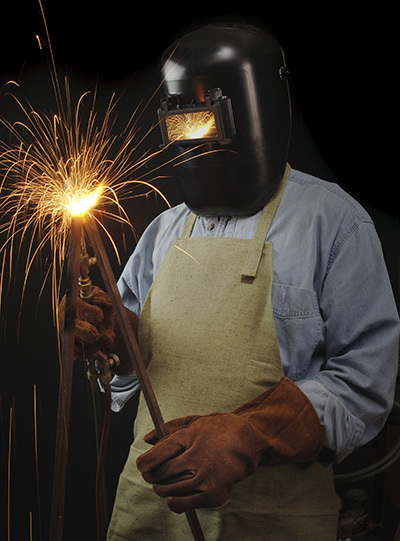 Expect the welding to be hard-wearing and resistant to the damaging effects of the elements. Our service includes lubrication for ensuring that the hinges will work as reliably and quietly as possible. We are equally good at fixing sliding gate hardware such as wheels. When there is a need for component replacement, the best new item will be used. All of our spare parts used for gate repair are of the highest quality. When panels and posts are damaged, this poses a serious threat to the structural integrity of the whole system. That is why you should not hesitate to turn to us for help as soon as you notice any bothering signs. We are experts in rotten gate repair and in fixing metal units affected by rust and corrosion. Our solution includes not only the restoration of the affected sections, but effective measures for future protection are taken as well.